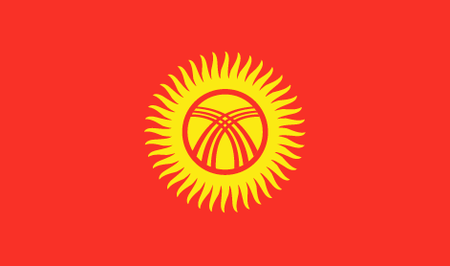 Kyrgyzstan is one of the countries that formed in the early 1990s after the dissolution of the Soviet Union, though prior to the encroachment of the Russians the region was more a loose assembly of tribes than a country. Remote and mountainous, the nation is bordered by Tajikistan to the south, Uzbekistan to the west, Kazakhstan to the north and China to the east. Less blessed with natural resources than some of its neighbors, Kyrgyzstan remains largely an agricultural economy, though attempts are being made to attract more tourists to the mountains and especially to the sandy shores of Issyk Kul Lake, and to enjoy the historical treasures of the Mongols, the Silk Road and the traditional nomadic culture. The Kyrgyz people are some of the finest horsemen in the world, and horseback riding remains a national pastime; some also still practice the ancient art of hunting with eagles. Soccer and wrestling are also very popular, but not so much golf. The country's very first, and so far only, course was built in 2001, the work of Canadian expatriates. Located not far from the capital city of Bishkek, the 9 holes of the Maple Leaf Golf Club may not offer all the finest amenities, but the views of the surrounding mountains are stunning, and the course itself is welcoming and peaceful.